I unapologetically admit, House of Cards is one of my favourite TV shows. 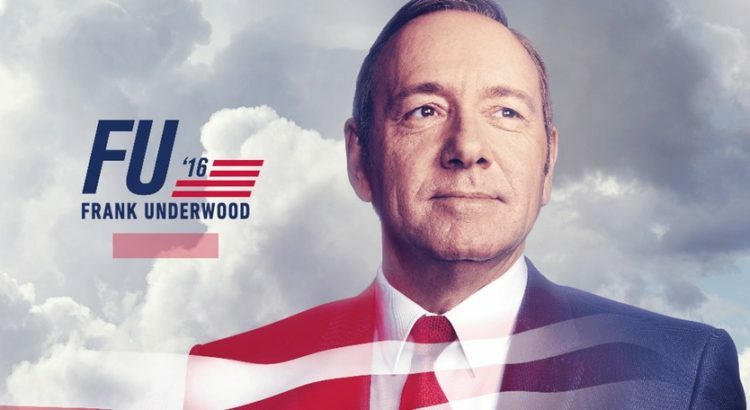 The first time I watched House of Cards was while I was washing dishes; I must have washed the same plate twelve times as I was instantly sucked into the high drama of US politics and the world of Frank Underwood, the House Whip, betrayed by the President when he is looked over for the role of Secretary of State. I am happy to say, that Season 4 continues to thrill and keep viewers on tenterhooks. Season 4 picks up from Season 3 where we see the Underwood’s marriage on the verge of a breakdown. Claire feels unappreciated and is tired of her ambitions playing second fiddle to Frank’s. Or perhaps it is a calculated power play on Claire’s part, waiting till Frank is deep in the election cycle before making her move – literally, moving out to her family home in Texas – knowing the she has Frank’s balls and presidential aspirations on the chopping block. With virtually no experience or credentials for the role, Claire wants to be VP. Frank (barely) survives an assassination attempt and eventually sees the light; Claire is too strong and clever to crush like his other political opponents. After they are reconciled the Underwood’s, as they do, find a torturous way to make this (almost) impossible goal become reality. The Democrat ticket for the 2016 race will be Underwood and Underwood!